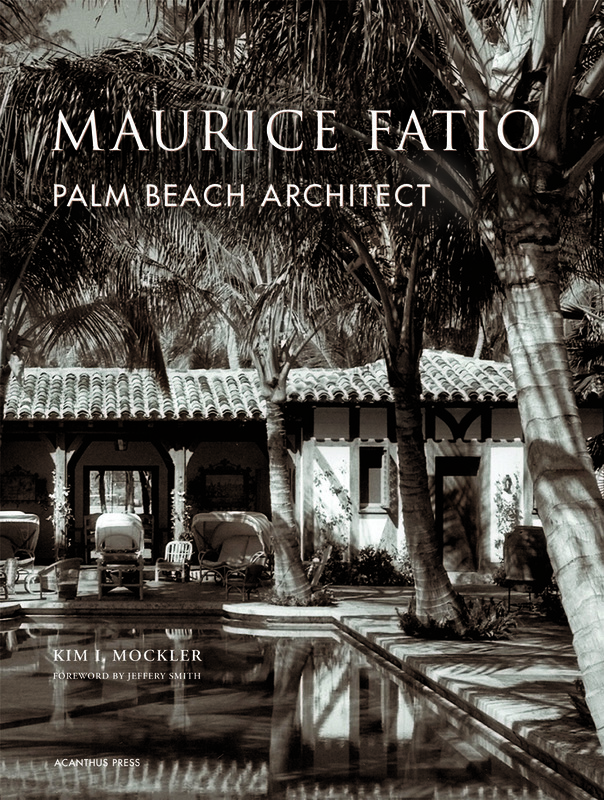 “Maurice Fatio: Palm Beach Architect,” by Kim I. Mockler. Acanthus Press. 256 pages. $65. Kim Mockler’s study of Maurice Fatio’s contributions to the way of life among the powerful and wealthy denizens of Palm Beach is a treatise on American taste and splendor in the years leading up to the Great Depression and the decade that followed it. The descriptive text is crisp and clear, the presentation of architectural detail is at once knowledgeable, lucid, and accessible to novices. “Maurice Fatio” is lavishly illustrated with a generous assortment of period photographs and new ones, as well as floor plans rendered especially for this gorgeously produced volume. In presenting 26 representative examples of Fatio’s designs, Mr. Mockler incidentally provides us with a who’s who in American society and culture. If homes reflect their inhabitants and owners, Kim Mockler’s presentation of Maurice Fatio’s Palm Beach achievement reflects the inspiration and aspiration of the American Dream. However, this landscape of material culture never forgets its European heritage. Maurice Fatio’s designs are characterized by a variety of European influences, from Mediterranean palaces to British Colonial mansions and even homes with modernist influences. He made extensive use of quarry key stone mined in Florida, and his plans typically included a central courtyard which provided wind-sheltered outdoor entertainment space. Kim Mockler’s descriptive narratives include intriguing biographies and family histories; vivid word portraits of the residences; details about ornamentation, interior design, and furnishings; information about additions, renovations, and successive – including current – owners. We learn about where stones were quarried, which local artisans (wrought iron craftsmen, etc.) made contributions to Fatio’s vision, and how the various residences were situated with respect to the ocean and to Lake Worth. For whom did Maurice Fatio design his Palm Beach estates? Joseph E. Widener, the art collector who donated his family’s famous collection to the National Gallery of Art in Washington, D. C., is also known as the man who brought Hialeah Park to prominence as a world class horseracing track. E. F. Hutton, founder of the famous brokerage house that bears his name, built his first Fatio house with wife Marjorie Merriweather Post and his second with his next wife, Dorothy Dear Metzger. Fatio designed several homes for members of the Vanderbilt family. The list of Maurice Fatio’s clients is a who’s who of American and international affluence and influence. Do you enjoy mysteries with religious themes and characters? Forget Father Dowling. Forget Rabbi Small. Catch up with Michael Lister’s unique “John Jordan Mystery” series. 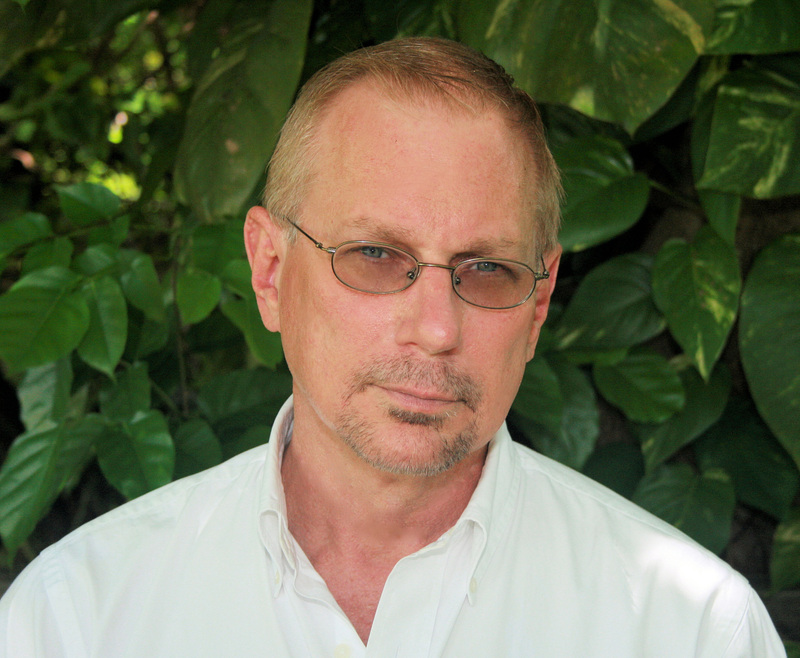 A former policeman now working as a prison chaplain in Florida’s panhandle, John Jordan wrestles with the conflict of justice and mercy on the one hand, and justice and vengeance on the other. Lister’s Jordan becomes a flawed everyman whose determination to become a better person and a spiritual counselor to others is constantly tested as he struggles to balance the demands of his chaplaincy with his work as a crime investigator. 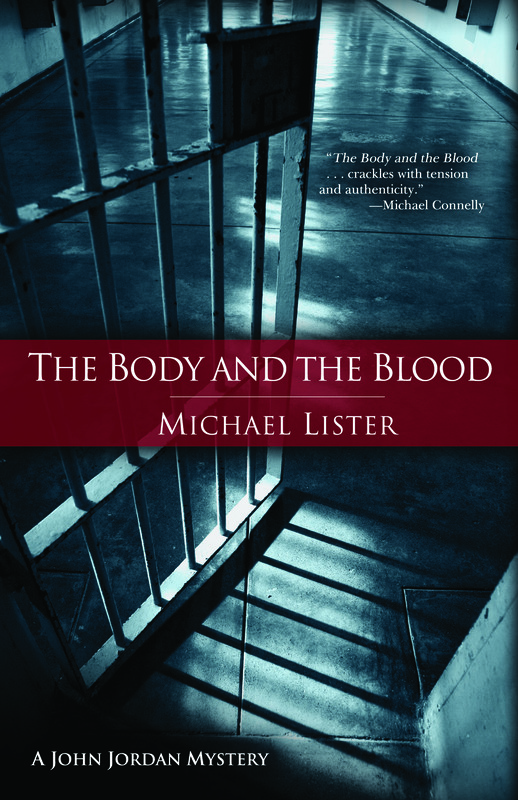 In “The Body and the Blood,” the latest book in this series, something that seems completely impossible has happened at the Potter Correctional Institution. An inmate named Justin Menge, just short of being paroled, is murdered inside of his locked cell. Most peculiarly, the large pool of blood spreading under the cell door is no longer in proximity to the now-bloodless corpse lying on the cot – a cot whose sheets are almost clean. How can this have happened in a prison with multiple levels of security? And what does it mean that the danger to Menge had been suggested in two different ways? First, a sister who hasn’t seen him in years voices concern that Menge might be in danger. Second, a mysterious handout appears imitating an announcement for a prison worship service, but with wording that warns of such a crime. While Jordan and the state prison system’s chief investigator, Tom Daniels, explore the locked door part of the mystery, they come up with a variety of suspects on the basis of motive – perhaps too many plausible suspects for a jury to find anyone guilty “beyond a shadow of a doubt.” Daniels has a vested interest in the case because Menge was about to testify against Juan Martinez, an escaped and recaptured convict who had raped Daniels’ wife. John Jordan has a complex relationship with vengeance-minded Daniels in that Jordan is working hard to rebuild his fractured marriage to Daniels’ daughter, Susan. Suspicion falls on corrupt prison guards, on a female prison psychologist for whom records show improper time markers for entering and leaving Menge’s section of the prison, and on another prisoner, Chris Sobel – known to be Menge’s boyfriend. Since Sobel and Menge are very similar in appearance, it even seems possible that they might have switched identities at some point or been mistaken for one another, further confusing the permutations of motive. Over a year ago, it became clear to me that the 70 Book Beat columns I had written for the Naples Sun Times from mid-2006 to mid-2008 were NOT likely to appear, as once promised, on naplesnews.com. A few days ago I confirmed that fact when Phil Lewis, NDN editor, wrote to me with the news that these columns were not in their database. The good news: via Mr. Lewis I received word that the Naples Daily News would make no copyright claims and I could go ahead and republish them. What I’m assuming, then, is that THEY ARE MINE! I am now republishing them on this web site. What you’ll see here is the unedited copy I sent to the Naples Sun Times. I made no attempt to revise the copy to match what the staff editor, most likely Marty Miron, achieved before publication. They’re not raw. I’m careful. But they are not in most cases identical to the newspaper version. Though I have illustrated the republished columns with head shots and book cover images, these illustrations do not necessary match those used in the original publication. In republishing the Book Beat reviews, profiles, and book news, I have entered a posting date identical with the original publication. Thus they are lodged far behind the entries posted on this web site since it was launched in November 2008, shortly after I began writing the “Books” section for Fort Myers Magazine. The easiest way to find “Book Beat” columns is to click the Book Beat selection on the Topics menu (right sidebar). Also, you can always use the search feature — that too is found on the sidebar — to enter the name of an author or other search term. Why did 2/3 of the columns appear in year one and the other 1/3 in year two? Changes in ownership, editor, and editorial policy account for this difference. When I came on board, invited by then-editor Larry DeMaria, the paper was independently owned. Sometime before that first year was over, the Naples Sun Times was purchased by a group affiliated with Scripps and the Naples Daily News. 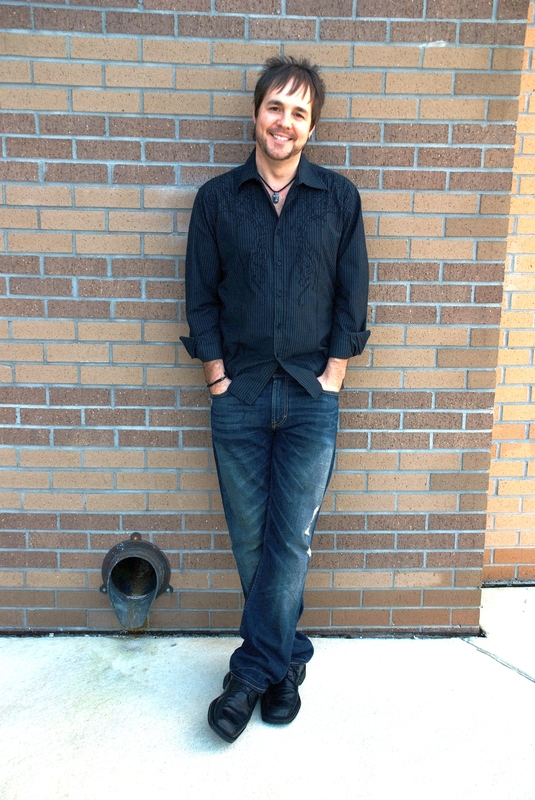 DeMaria was eased out and replaced by Leigh Tahirovic, who had enjoyed a previous stint as editor. Leigh’s second reign came during a period of shrinking circulation and advertising. Also, she wanted the paper to give less space to columns and more to local news and other kinds of features. Finally, she prefered pieces from me that were more conventional reviews, with less of the author profile material that I had been doing. So, there it is. Fewer pages, fewer columns, and for my particular column, more time spent on reading/reviewing and less on interviewing. While I was able to publish almost weekly during year one, I was lucky to appear twice a month in year two. Note: Though my Book Beat columns and several other contributions disappeared from the database, many of my other contributions to the Naples Sun Times did not. Thus, you can find a couple of dozen news items and opinion pieces by doing a search on my name (in quotes “Philip K. Jason”) at www.naplesnews.com. However, it may not be clear which ones were originally in the Naples Sun Times and which in NDN or some other part of the NDN local empire.